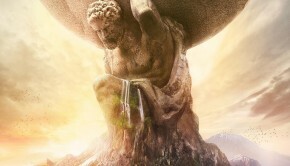 The album opens with “Water Prelude,” sung in Proto-Indo-European by the Angel City Chorale, and though short, it establishes both the lyrical and musical theme of the album by establishing several motifs. It’s just a taste of things to come and possibly symbolizes the “drop” of water alluded to in the album title. “Haktan Gelen Şerbeti, or “The Drink from God,” features the Turkish folkloric band, Kardeş Türküler, and is based on the works of famous Turkish poet, Yunus Emre. There is quite a bit going on with this tune that I find quite intriguing. I really like the vocal play between the various main singers and the choir accompaniment. In addition, the instrumentation really shines as well, providing both some great Turkish influence musically speaking as well as a really nice implementation of the main motif of the album in the form of mysterious and somewhat dark piano. The epic climax, featuring is quite the showstopper and it’s a perfect lead-in to the next song, “Temen Oblak” or “Dark Clouds.” Sung in Bulgarian by the famous women’s choir Le Mystère des Voix Bulgares and based on the works of Bulgarian poet, Hristo Botev, it perfectly depicts an impending downpour. The vocals are quite powerful, at times ominous, at others calm, as if depicting the calm before the storm. 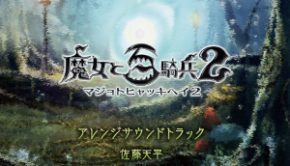 However, the accompanying instrumentation also helps to create the ominous atmosphere with its powerful and sharp brass tones and deep percussion hits. Christopher Tin once again works with the Soweto Gospel Choir on “Iza Ngomso,” or “Come Tomorrow.” Sung in the African language Xhosa and based on a poem by Henry Wadsworth Longfellow titled “Keramos,” it is a song all about clouds. This song, the first single from the album, really manages to capture the essence of the clouds. In our interview with him, he mentioned he wrote this mainly while flying around the world on various business trips and I think that experience truly shows in the music. From the flurry of strings to the beautiful woodwind passages, there is definitely a sense of flight instilled within the piece that is only accentuated by the lofty and powerful vocal performance of the Soweto Gospel Choir, especially in the male vocal lead. “Tsas Narand Uyarna,” or “The Heart of Snow,” based on ancient Mongolian texts, is sung in Mongolian by Nominjin, a famous Mongolian artist. There is definitely a sense of mystery with this piece, but also an almost pure and innocent sound as well, which captures the symbol of snow, in my opinion. However, as fantastic as the instrumentation is, whether it is the booming brass and percussion that, to me, symbolizes the mountain range or the blending of classical elements with some musical ideas of the region, Nominjin’s vocal performance is definitely the star of the piece. Her almost operatic approach to the vocals pays homage to the art of Mongolian throat singing and her emotion is definitely captured in her performance. The next few songs definitely take on a softer approach. Featuring Dulce Pontes, a famous fadista of Portugal, “Passou o Verão,” or “Summer Has Gone,” is based on the works of famous Portuguese poet Luis de Camoes. This piece definitely has a very classical instrumentation, focusing on strings that really help capture this feeling of sorrow quite well. However, it is the vocal performance that once again steals the show. The performance manages to personify sadness itself and the instrumentation only helps accentuate the overall mood of the piece and I love the incorporation of the main motif of the album. 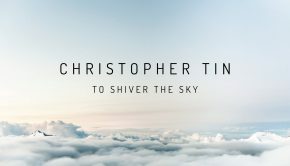 It is a truly emotional tune and definitely one of Christopher Tin’s strongest pieces on the album. “Devipravaha,” or “Goddess River,” features Roopa Mahadevan and is based off a text called The Gangashtakam by Adi Shankara, a famous Indian philosopher and theologian. The instrumentation is absolutely stunning, featuring soft strings, fluttering woodwinds, and beautiful brass tones that really manage to complement the equally stellar vocal performance that defines the cultural side of Indian singing. This tune is definitely my favorite on the album and one that I constantly go back to. The last two songs before the grand finale are both based on ancient languages, those being Ancient Greek and Old Norse. The former, “Seirenes,” or “Sirens,” is based on Homer’s The Odyssey and features Anonymous 4, the famous a capella group from New York. What I really like about this piece is the atmosphere. It is absolutely mesmerizing and mysterious and really manages to capture the idea of the sirens from Homer’s epic, even down to the opening of the theme with its enticing vocals. The layering of vocals, the beautiful strings work, and the progression of the piece, which to me, plays in my mind as the sailors hearing the voices of the sirens, traveling to it, and then only realizing before it’s too late, the imminent danger they face as their ships crash into the rocks, all make for a grand listen. Speaking of grand, “Haf Gengr Hriðum,” or “The Storm-Driven Sea,” based on texts from The Poetic Edda, features Schola Cantorum, a choir from Norway, and is done in a gothic style. 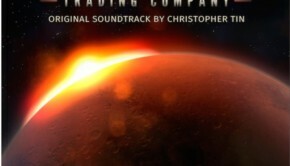 As Christopher Tin mentioned in our interview, he did at first resist to write a song in this style, due to the popularity of the style in many video games and movies, however, the end result is something that I think would be perfect for either medium. I really like the incorporation of the main motif in this piece, as it definitely takes on a more sinister approach thanks to the powerful brass and the choir. The vocal performance is also quite dynamic ranging from bombastic to calm and back, creating a nice backdrop for the text it is based on. The finale of the album, “Waloyo Yamoni,” or “We Overcome the Wind,” based on a rainmaking litany, is sung in Lango and features the entire vocal cast on the entire album. It is definitely a perfect way to end the album and manages to cover a great deal of emotions, ranging from softer tones to more regal and bombastic tones, as heard on the rest of the album. The instrumentation and the vocal performances are spot-on and really manage to give a nice sense of finality to the entire album, whilst also incorporating the main motifs heard throughout the album. 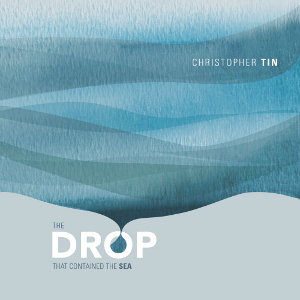 In closing, Christopher Tin’s latest endeavor, The Drop That Contained the Sea, is one of the must-have albums of 2014 for those who appreciate his unique approach to classical crossover music. There is a multitude of styles on the album, ranging from bright and flowing pieces to much darker affairs, and I find it to be much more diverse emotionally compared to Calling All Dawns. I eagerly await his next album but I’m afraid he may have set the bar a bit too high with this album. Good thing the early concept of his next album is about birds, as I’d love to see him soar above my expectations. Posted on May 12, 2014 by Don Kotowski. Last modified on May 14, 2014.